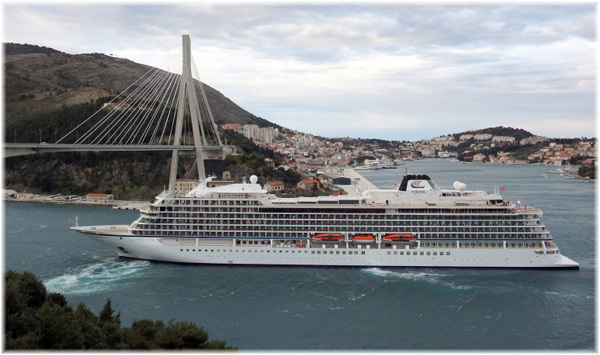 When Viking Ocean Cruises introduced the 930-berth Viking Star in 2015, it was projected that the line could build up to six sister ships of the same design. But with last month’s order from Fincantieri for two more plus an option to build another two, this could take the Viking Ocean fleet to ten ships by 2024. In other news Viking is introducing resident historians to lecture on board its first three ocean ships. And as time passes one of Carnival Cruise Line’s early cruise ships has become the first of the line’s newbuilds to go for scrap. Viking Ocean Cruises has decided to continue its expansion plans with an order for two new cruise ships, set to be delivered in 2021 and 2022. The order is part of a memorandum of agreement the cruise line has just signed with Fincantieri, which also includes an option for two more cruise ships. The new ships will be the same size as the current ships in the line’s ocean fleet: Viking Sea, Viking Star and Viking Sky, which entered service in February. The new ships will have a capacity of 930 passengers in 465 all-balcony cabins, and will be of the same design as the line’s current ocean ships. 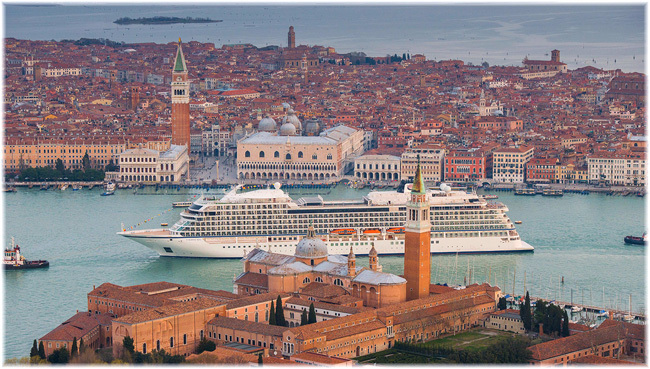 Viking Ocean Cruises is set to introduce its fourth ship, Viking Sun, this November. The first ship to be built by Fincantieri for Viking, Viking Star was delivered at the Marghera yard in spring 2015. The second and third ships, Viking Sea and Viking Sky, were built in Ancona and delivered in early 2016 and early 2017. Viking will take delivery of the fourth ship, Viking Sun, in late 2017 and the fifth, Viking Spirit, in 2018. A sixth, yet-to-be-named ship will be delivered in 2019. By then, the originally-planned six sister ships will be offering guests worldwide itineraries in Alaska, Australia, Asia and the Caribbean as well as Europe, the Mediterranean and Scandinavia. Meanwhile, in a new program on board Viking Star, Viking Sea and Viking Sky, Viking has now engaged resident historians to provide enrichment lectures for Viking guests. The lecturers will provide guests with historical and cultural facts that are specific to their itinerary, offering a framework for understanding major chapters in world history. They will also conduct seminar-style roundtables, smaller, more intimate forums for discussion with guests, where the lecturers will examine in-depth subjects related to their own areas of interest. The historians have been engaged to provide a history refresher course, and are supplemented by other lecturers who contribute their particular expertise in art, architecture, music, etc. • Dr Mark Callaghan: he holds a PhD in History from the University of London, an MA in Art History from Oxford University and a BA in Art History from the University of Manchester. Dr Callaghan is a specialist in 20th century European art and culture and will serve on Viking Sky’s Empires of the Mediterranean sailings this spring. • Lt Col Tony Coutts-Britton: a graduate of the Royal Military Academy, Sandhurst who has served with the British Army in Europe and Asia – and later with NATO in the Partnership for Peace program. Lt Col Coutts-Britton lectures on the social and political aspects of European military history and will serve on Viking Sea’s Empires of the Mediterranean sailings this spring. • Dr Fenella Bazin: she holds a PhD from the University of Liverpool, is a graduate of the Royal Academy of Music and is a Research Fellow at the University of Liverpool’s Centre for Manx Studies. Dr. Bazin is a specialist in the Age of the Vikings and modern Norway and will serve on Viking Star’s Empires of the Mediterranean sailings this spring. Last week the Marine Traffic website reported a ship called the Hen, ex-Henna, ex-Pacific Sun, ex-Jubilee, arriving at the Indian shipbreakers at Alang, where she went to anchor on on April 25. This ship is the first of Carnival Cruise Line’s 1980s newbuildings to go for scrap. 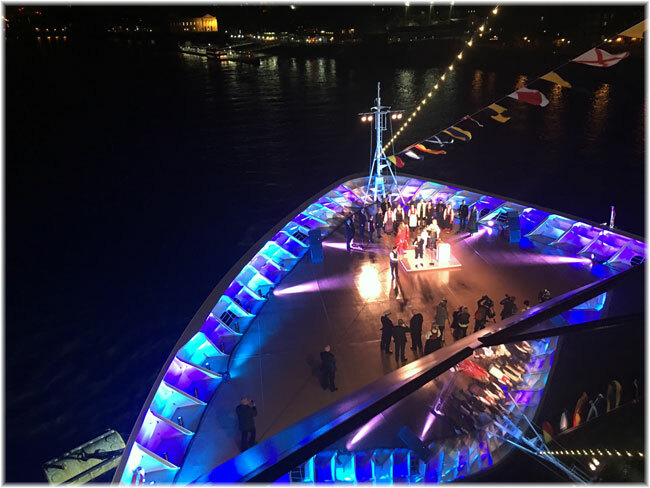 The Tropicale sails today as the Ocean Dream for Peaceboat organisation, while the Holiday became Cruise & Maritime Voyages’ Magellan and the Celebration the Grand Celebration for Bahamas Paradise Cruise Line.